In March, we released Pay@ the Door, which permits SpeedLine users to accept card-present EMV chip payments upon delivery. At the time of release, Pay@ the Door could only be used on an iOS device paired with a Bluetooth EMV PIN pad. Now, Pay@ the Door is also available for Android devices. Delivery restaurants around the United States have been slow to adopt EMV PIN Pads. 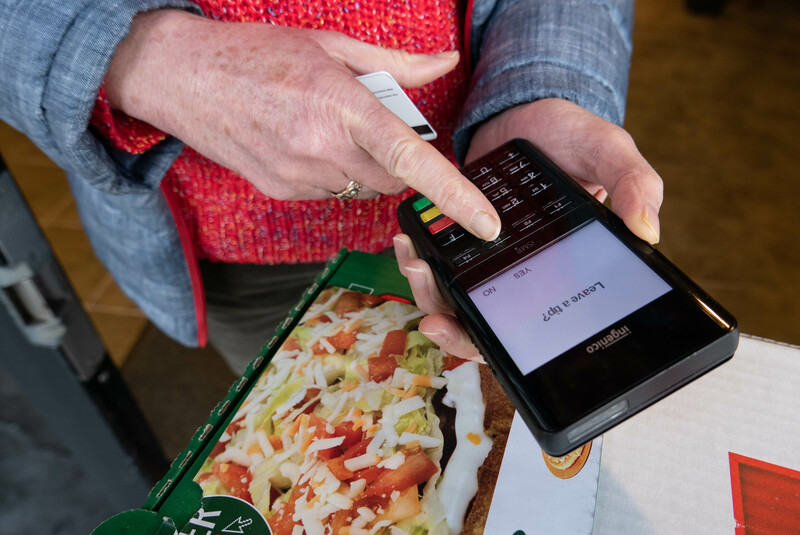 While VISA, Mastercard, AMEX and many other credit card companies shifted their counterfeit fraud liability in 2015, not many pizzerias in the United States have updated their payment hardware. The main reason for this is that the majority of delivery restaurant transactions are card-not-present. 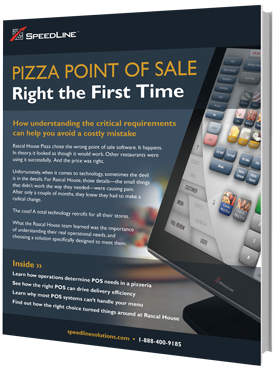 Even if they accepted EMV payments in-store, pizzerias would still face higher processing fees for deliveries, where payments are made online or over the phone. Once you can accept EMV payments at the door though, you can drastically reduce your card-not-present transactions, and associated higher processing fees and chargebacks. When a customer calls in, or places an order online, no credit card information is entered into the POS or your online store. Instead, your drivers collect payment from the customer upon delivery, the same as cash payments. To collect the payment, your drivers use the SpeedLine Pay@ the Door app on a mobile device (either Android or iOS) that has been paired with a Bluetooth EMV PIN pad. Once they arrive at the customer’s location, the driver scans a QR code on the delivery slip. That QR code contains the ticket number and payment amount, and communicates it to the mobile PIN pad. Then, just like any other EMV payment, your driver hands the PIN pad to the customer. The PIN pad prompts the customer to confirm the payment, and enter a tip. The app then sends the encrypted information to Vantiv, and checks that the payment is approved. Once the driver returns to the store, all the payments from the Pay@ the Door app synchronize with your SpeedLine POS, and a receipt is emailed to the customer. EMV is now the global payment standard, and your customers are starting to expect it, for all transactions. EMV transactions not only are safer, they make your customers feel safer too. If you haven’t upgraded to EMV PIN pads yet at your restaurant, now may be the right time to look over new technologies like Pay@ the Door.